Koala shows Kiwi around the city of Melbourne. This story supports topics of relating to others. 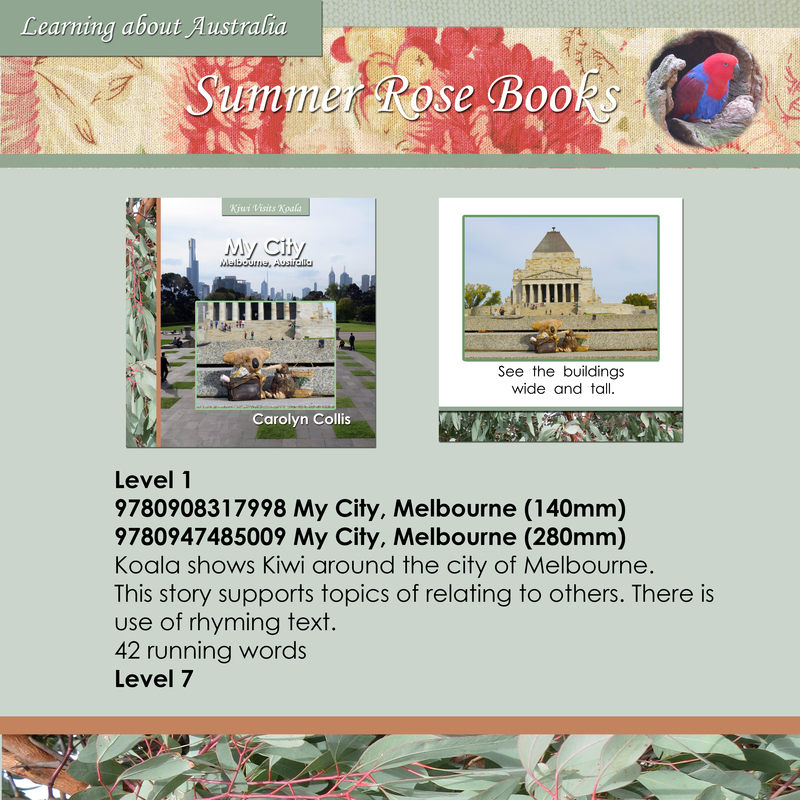 There is use of rhyming text. 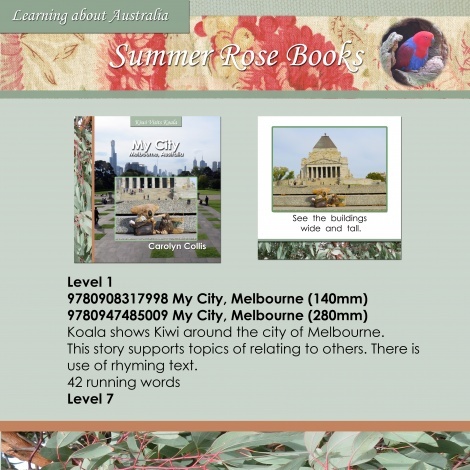 This series provides a fun way for children to learn about Australia, build reading confidence and improve general knowledge.